Smooth faux leather hat band with adjustable indentations and cylinder closure. 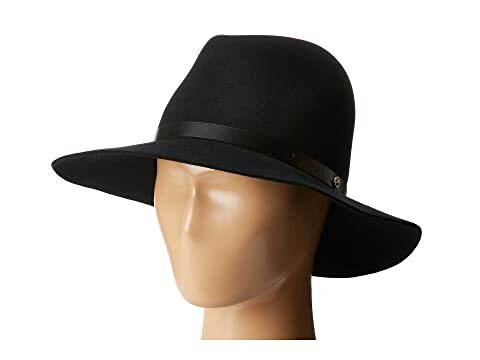 We can't currently find any similar items for the Floppy Brim Fedora by rag & bone. Sorry! Good quality. I'm usually a large in hats and the large is a little big, but medium too small. Kept the large.